As an MCS Accredited Solar PV and Solar Thermal Installer we can offer the Feed In Tariff for our customers. 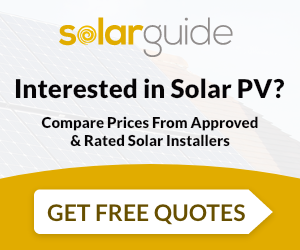 Solar PV in Stoke-on-Trent, Solar PV in Staffordshire, Solar PV in Cheshire and Solar PV in Derbyshire, Installations are Nationwide. The Feed in Tariff is a TAX Free Income for our customers, we arrange everything for you. Generate your own electricity and be paid by your electricity company, rather than you paying them. Phoenix Solar Limited undertake installations of Solar Water Heating and Solar PV. For similar installers in this area please visit the Stoke-On-Trent solar page.